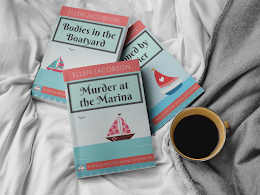 We seem to have had some new readers of our blog lately so I thought I would let folks know about all the ways that you can follow us and keep up with the latest happenings with the Cynical Sailor (Scott) and his Salty Sidekick (that would be me, Ellen). You can subscribe by e-mail (that's what my mom does). Just enter your email address and hit the submit button. 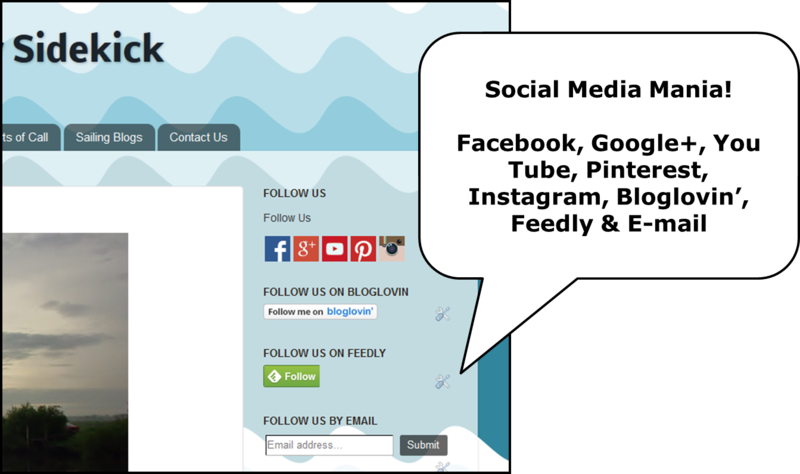 If you are a big blog reader, you might want to follow us using Bloglovin' or Feedly. These are great ways to see all of the recent posts from your favorite blogs in one place. If you are into Facebook, you can like our page. Or, if you are more of a Google type of person, you can follow us on Google+. And if you like pictures, then Pinterest is the place for you. If you want to join in on the shared board on anchorages and add pictures of great places to drop the hook, email me and let me know and I'll add you to the board. I recently got a new cell phone and have been experimenting with Instagram. I'm not sure what I think about it. Does anyone else use Instagram? If so, do you like it? We would also love to hear from you - leave a comment or email us using either the contact form on the sidebar or via our email address (see our Contact Us page). Being between sailboats means that there hasn’t been a lot of beach time or sightings of sea critters lately. Fortunately, while I was out at the Oregon Coast with my sister and her twin 12-year old girls, we had the chance to play on the beach, explore the tide pools and visit the Oregon Coast Aquarium. We even saw some lighthouses and checked out the boats in Newport. It wasn’t just cheesy tourist attractions and greasy food on this trip. My sister rented a cute little house in Seal Rock (between Newport and Waldport) which had the beach right on our doorstep. It is kind of an old fashioned operation. The owner is in his 90s and only takes checks. I can’t remember the last time I’ve seen a check, let alone written one out. It was a great little place set in the midst of a lot of pretty flowers and pine trees. The Oregon Coast Aquarium is one of the big attractions in the Newport area. It is chock full of ocean critters – otters, seals, sea lions (or “seals with ears”), an octopus, jellyfish and, of course, lots and lots of fish. For some reason, there is also a turkey vulture exhibit. No idea why. Maybe I should have read the sign. It might have explained things. And there is a gift shop. My nieces LOVE spending time in gift shops. They got grandma some socks with cute little puffins all over them. Because who doesn’t need puffin socks? My pictures didn’t really turn out that well, except for these jellyfish. However, one of my nieces made a video of our visit which you can check out on our YouTube channel here. She put it together on her iPod in the car in about 35 minutes. Hanging around 12-year olds sure does make you feel technologically incompetent. We checked out two lighthouses in the area – one at Yaquina Head and one at Yaquina Bay. I found the one at Yaquina Bay to be more interesting as you can explore the light keeper's house, but the one at Yaquina Head is part of an “outstanding natural area” managed by the Bureau of Land Management. In addition to seeing the lighthouse, you can explore the tide pools, go for some short walks and look for seals and “seals with ears”. If you’re out there at the right time of the year, you’ll even see gray whales. We didn’t. You have to pay $7 per car to use the area, but the pass is good for three days which is handy. We hadn’t checked out the tide tables the first day were were there so the tide pools were kind of a bust, but we came back the next day at the right time. We are probably some of the last people to see the purple ochre sea stars. They’re dying due to a wasting disease and are expected to be extinct in just a matter of time. Unfortunately, they’re a keystone species which means the rest of the ecosystem is going to hell. It was all kind of depressing, so we went to the gift shop at the interpretive center to cheer up. I can’t remember what the girls bought there, but I’m sure it was something adorable that they can’t possibly live without. Scott and I are trying to get the girls to become interested in sailing. We figured that we can take them out on our boat and put them to work. They’re very clever and creative. I’m sure they can figure out how to fix marine toilets and repair sails much better than we can. Plus it would give their parents a break if we borrowed them from time to time. As part of our brainwashing campaign, I suggested that we stop in Newport to look at the boats. At first, they thought this was the most boring thing in the world. 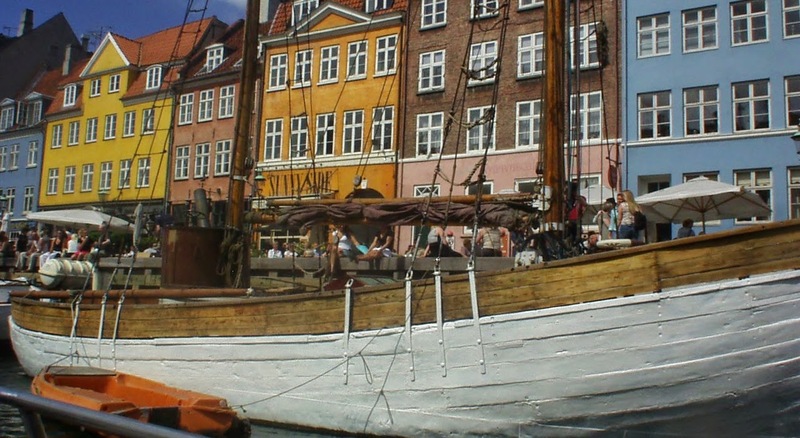 Why look at boats when there are a million gift shops to explore. But then they saw little jellyfish in the water and sea lions swimming around, so it wasn’t all bad. And I’ll leave you with a few more beach shots – some from near Seal Rock and some up in Pacific City. Everyone knows that the best vacations usually have two main ingredients – a stop at a cheesy tourist spot and lots of greasy food. Of course, you might not want to admit that you like those kind of vacations, but you know you do. Who wouldn’t want to see the world’s biggest ball of yarn or a fence made out of bras? And of course, when you’re on vacation, how can you possibly pass up the local cooking, especially the dishes which are deep fried and/or coated in sugar. When my sister, her two 12-year old twin girls and I recently spent some time on the Oregon Coast, we made sure that our vacation plans included the cheesiest of tourist spots – the Tillamook Cheese Factory – and some greasy food in the form of fish and chips. With a few gift shops thrown in for good measure too. My mom has trained her granddaughters well – they love browsing in a good gift shop. It doesn’t matter what knick-knacks and souvenirs they’re selling, these girls can spend hours combing through what’s on sale and pointing out all of the cute and useless things you can’t possibly live without. I bet you can’t imagine life without one of these carved bears. Do you want an easy way to tell how old you are when you’re in a gift shop? You know those stands with name tags on them. Check them out and see if your name appears. If it doesn’t, you can be sure that you are part of the older generation and that your name is horribly old fashioned now. Or maybe that’s just me and my name - Ellen. The good news is that because my name wasn’t available, I didn’t feel compelled to waste money on one of these name tags. I did however get seduced by the Tillamook cheese t-shirt. I gave the cashier $12.99 and he gave me a t-shirt I don’t really need and a shopping rush that lasted all of five minutes. Before we let the girls hit any gift shops, we forced them to learn about how cheese was made by taking the self-tour of the Tillamook Cheese Factory. It’s actually pretty interesting. You can stare through windows at the folks busily making cheese and getting it ready for sale. If you want, you can spend some time reading all of the educational signs scattered about. I didn’t. My attention span isn’t nearly long enough for that kind of nonsense. 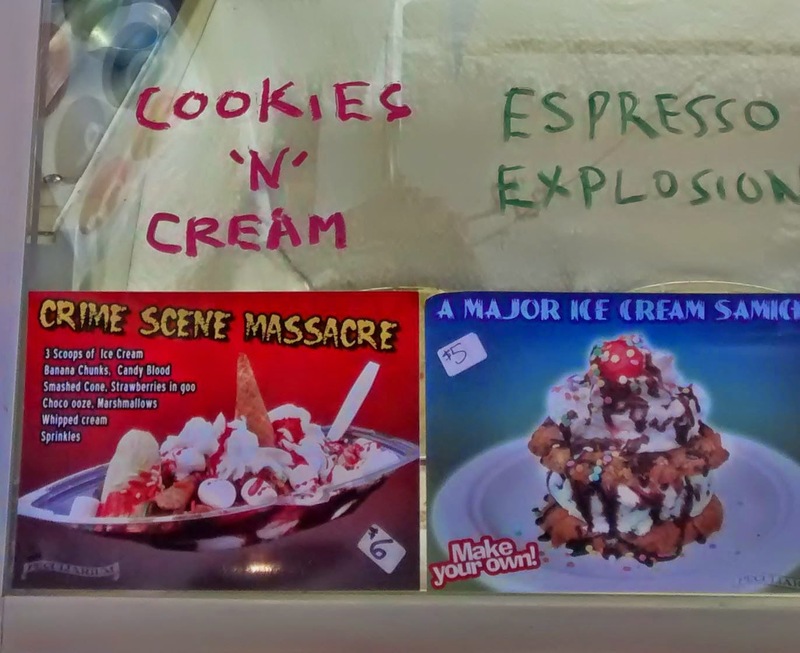 It probably didn’t help that they had a ice cream kiosk right next to the signs. Ice cream vs. knowledge. I think you can guess what won out. My sister tried to get us interested in learning more about the dairy industry. She lived on a dairy farm in Finland for a year and told us a bunch of stories about getting up at 4:00 am to milk cows and watch calves being born. I have to say, she really didn’t sell the lifestyle. It sounds like a lot of hard work and not a lot of opportunities to sleep in. After her description, I’m pretty sure her girls don’t have any dreams to grow up to become dairy farmers. However, we do appreciate dairy farmers because they keep us stocked in cheese and ice cream. In case you aren’t convinced about how wonderful cheese is, the good folks at the Tillamook Cheese Factory let you sample different types of cheese. Unfortunately, they start off the tasting with squeaky cheese made from the curds or whey or something. The general consensus was YUCK. Thank goodness, the next batch of cheese was Colby. Everyone liked Colby. Our faith was restored. The cheese tasting station is very conveniently placed next to the gift shop. Guess what’s on sale. Yep, you guessed it, cheese. People were buying a lot of cheese. I think they would have also bought a lot of ice cream if there had been a free ice cream tasting stand. If you have to pay for your ice cream cone, you aren’t really likely to shell out more money to buy some more. Their marketing team should take a look at this. And send me a lifetime’s supply of ice cream for pointing out this flaw in their marketing approach. After eating all of that cheese, we needed to make sure that we ate some greasy food while on vacation. Maybe we should visit a salad factory on our next outing. That way we would have a craving for kale and spinach for dinner, rather than fish and chips. Or pescado y chips. I would have thought there was a word in Spanish for “chips”, but I guess not? I had forgotten how much Spanish is used in Oregon. My nieces are learning Spanish in school – seems like a much more useful language these days then the French and Latin that I took. One of my nieces ordered chicken and chips and made this cute little smiley face with ketchup. Who said food can’t be fun. The rest of us got with the program and had pescado y chips. It was a really cute spot – just look for the place south of Newport on Highway 101 with the crab cooker out front. I know you might be a bit worried that all we did were cheesy and greasy things. But not to worry, plenty of fruit was consumed (this is berry season after all in Oregon) and we did spend time playing on the beach to work off those extra calories. Here’s proof – the girls next to some driftwood at Seal Rock beach, watching the tide come in. Random pictures from when we traveled around around Denmark on our bicycles. I've been hanging out in Portland recently visiting family. Here is a little glimpse of what life has been like in Portland lately. 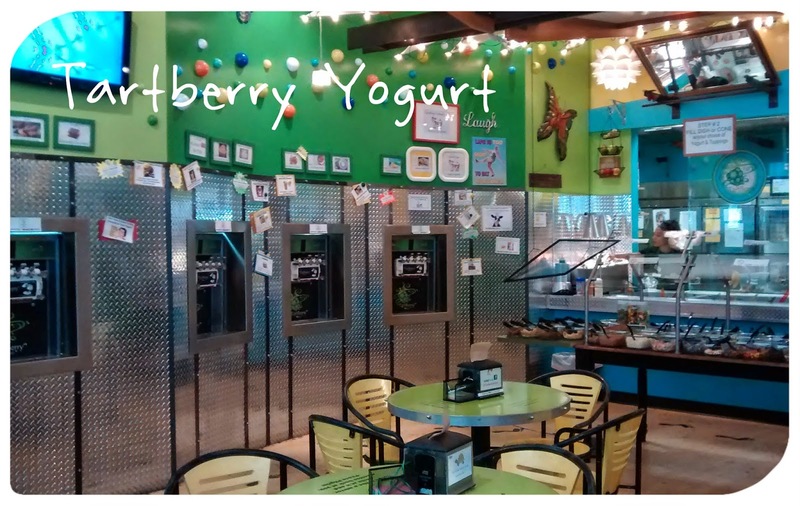 Nothing much to do with boats, sailing or cruising, but there has been frozen yogurt and raccoon zombies, so life isn't all bad. The weather has been divine in Portland. Yes, I know, "divine" is an odd word to use, but it has simply been divine. 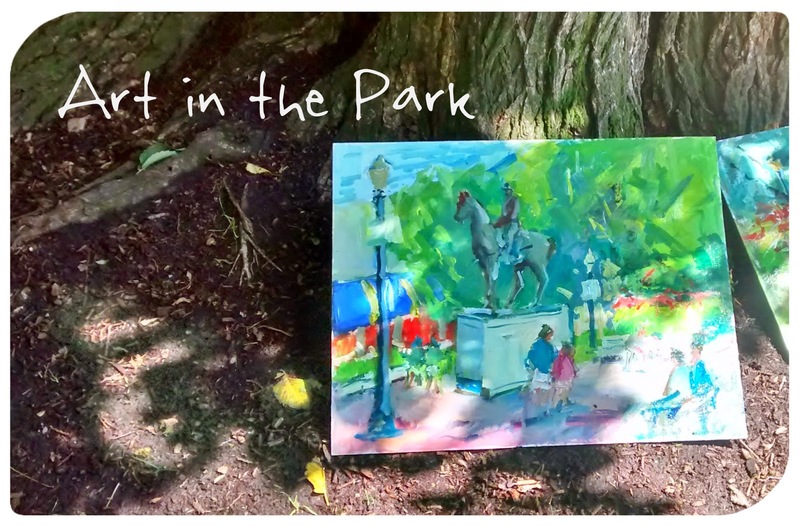 And when the weather is nice, what could be move divine then strolling through the Park Blocks with your mom and watching artists paint outside of the Portland Art Museum as part of the Tuileres Garden exhibit festivities. Tartberry seems to have become a tradition when I come to visit family in Portland. When they see me, my nieces scream, "We just have to take Ellen to Tartberry!! Can we, can we, can we?!!" Although, I suspect my arrival may just be an excuse to get their mother to take them for frozen yogurt and all the candy toppings you can possibly cram into a bowl. In fact, why even bother with the frozen yogurt, when you can just get a bowl full of candy? That's 12 year old logic for you. 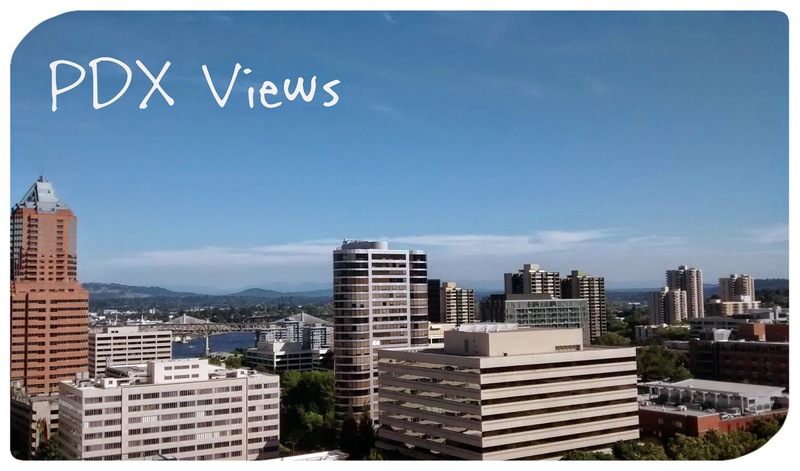 My mom recently moved into a new place and she has some amazing views of Portland including downtown, the Willamette River, the West Hills and even the mountains. I've been soaking in the sights from her balcony - a great reminder of what a beautiful and livable city that Portland is. In addition to eating frozen yogurt and goofing off, I've been helping my sister with some weeding in her yard. Keeping the blackberry brambles and ivy at bay is a constant battle at her place. With the nice weather and the chance to be outside, weeding has actually been enjoyable. It has also made me realize how out of shape I've become since we moved off the boat. Not having a car and walking everywhere, carrying all of your groceries in your backpack, pulling on lines, hauling buckets of water around and trying to keep your balance on a moving ship sure does keep you in shape when you're a cruiser! The weeding has been helping to battle those pounds I've been gaining while on land. 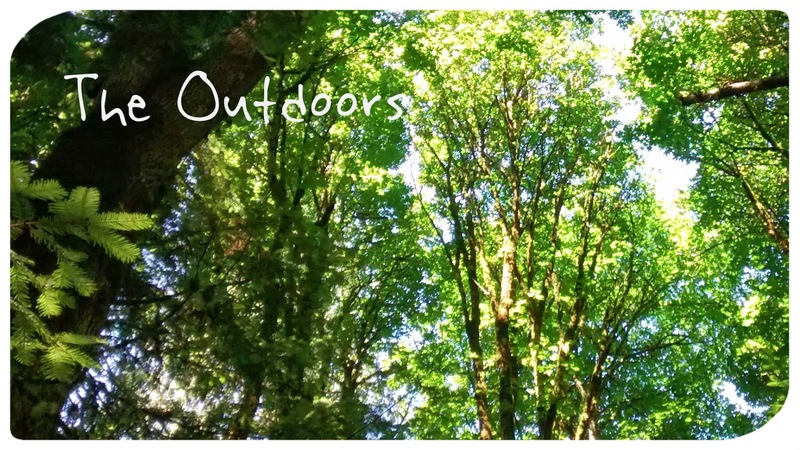 There has also been time to enjoy the outdoors and go on walks in the forest. 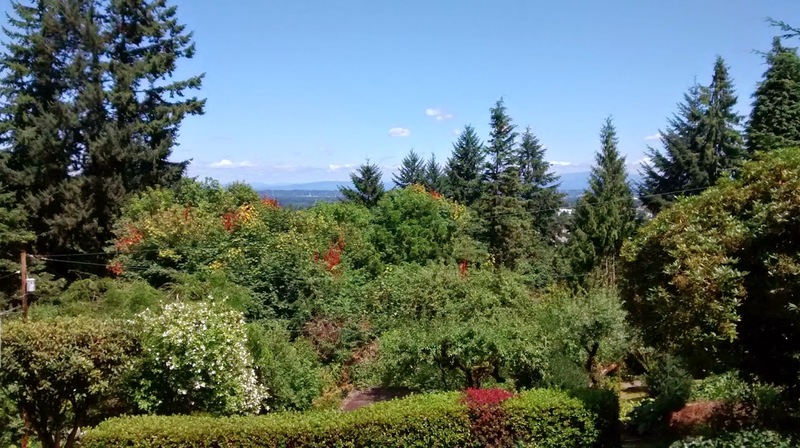 Portland has some amazing gardens and green spaces scattered throughout the city including Forest Park, the Rose Garden, Crystal Springs Rhododendron Garden and even Chinese and Japanese gardens. Well, that's life in Portland lately...a great place to spend the summer! A blog is "nominated" for this "award" by other bloggers. It is a bit like a chain letter, except that the idea is to allow a blogger to introduce or recognize a fellow blogger's work. So, being nominated is a bit of an honor...or at least an indication that someone else likes your work. It seems like a fun way to get to know other bloggers better and hear about their stories, so we're happy to have been tagged by Mike. Here are our answers to Mike's questions. Have a read all the way to the end, as you may find your blog's name at the bottom which means that you've been nominated by us for this award too! And be sure to check out Mike's Liebster Award post and find out more about their escape from the rat race. In terms of our roles, Scott is the skipper. 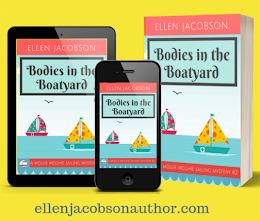 He fell in love with sailing long before Ellen even knew why it was important to tie fenders on to your boat before docking (you know those things that turn your boat into some sort of bumper car). Ellen can skip rope, but she isn't quite skipper material yet. We're working to change this with the hopes that one day, we'll be co-skippers. In the meantime, Ellen makes mediocre meals, takes the lead on cleaning and provisioning and makes sure the skipper's coffee cup is full at all times. She is also the Chief Communications Officer and is in charge of the blog and organizing boxes for photo shoots. If you want to know more, check out our About Us page. When we were cruising in New Zealand, we lived aboard a Raven 26, which is a classic little Kiwi boat (you can read more about it here). If you're looking for a relatively inexpensive small boat which you can comfortably cruise on, then a Raven 26 is a great option. There are quite a few of them sailing in New Zealand and anyone you meet is likely to have either owned one or know someone who has one. While a few of them have gone offshore, most of the Raven 26s are only found in New Zealand, so they are really only an option for folks who want to cruise there. For us, it was a great first "for now" boat and we learned a lot sailing and living ours. 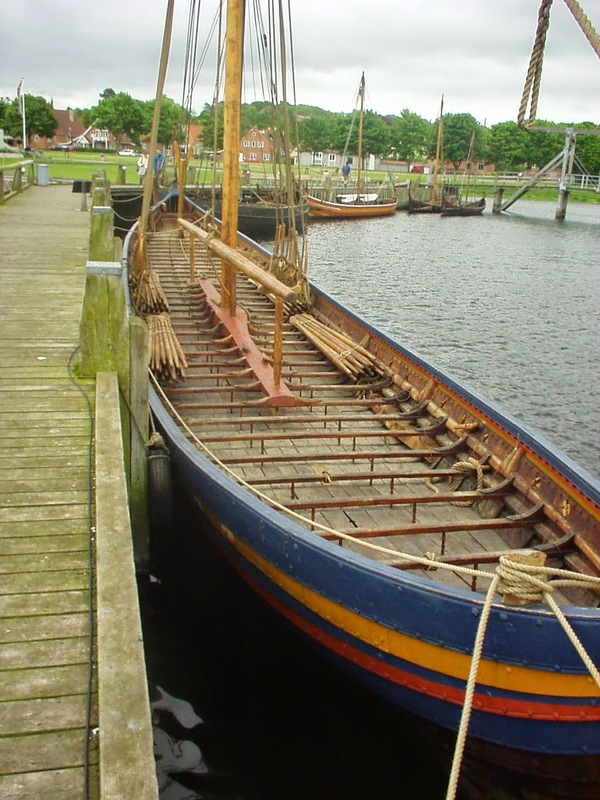 While many people happily live on boats of this size, it is too small for us for the long-term, so we're now looking to buy a bigger boat in the States. Our immediate plans are to buy our next boat in the States and get out there again cruising. Due to Scott's work and some other family commitments, it will likely be a few months before we can kick off the search process in earnest. This makes us sad. We're both have itchy feet and can't wait to get on the water again and see new places and meet new people. In terms of where we buy our next boat, we're really up in the air. Flipping a coin seems like a perfectly rational idea at times. Heads, we look for a boat in the Pacific Northwest, tails we look on the East Cost. If the coin lands on its edge, then we look in the Great Lakes. 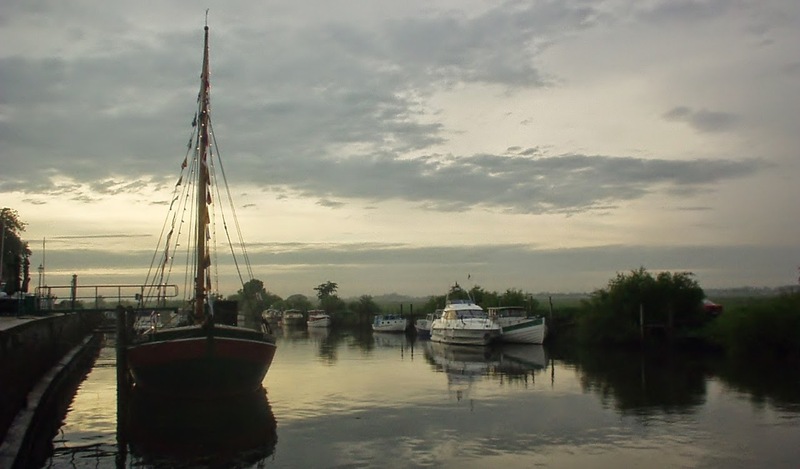 You can read more about our wishy-washy approach to boat buying here. And then once we buy our next boat, we have the angst-ridden decision making in store for us about where we plan to go cruising. 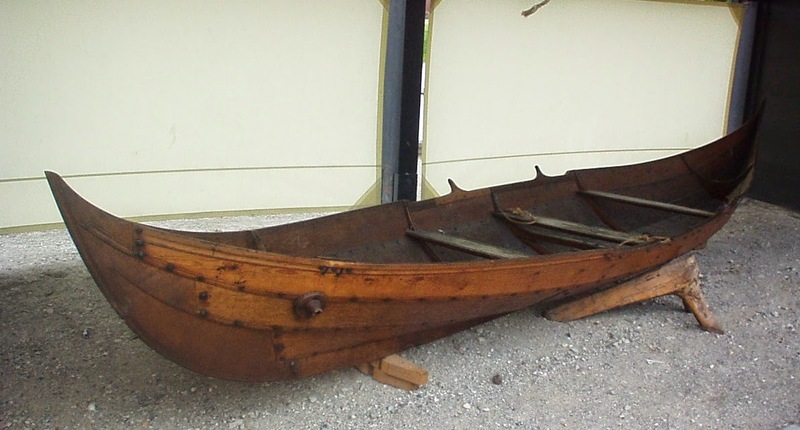 It was almost easier to own a small boat in New Zealand that wasn't outfitted to go offshore. At least that way, it was just a matter of deciding where in New Zealand to go sailing. You can read more about our cruising bucket list here. So many places to go to, so little time and so little money. Which leads us nicely on to the next question. Like many people, we've saved up enough money to take a few years off from worrying about where the next pay check is coming from. We're hoping we can stretch our savings out and take a semi-retired approach to cruising (potentially augmenting our income from time to time with jobs here and there), but we'll need to see how this pans out. We try to do things frugally and we tracked every penny we spent while cruising in New Zealand so that we can get a feel for how much we're spending and where we can cut back. If you're curious, you can find out how much we spent here. 5. What's the best experience you've had while living aboard? There have been so many great experiences living aboard in New Zealand. Very hard to narrow down to one! We've enjoyed seeing wildlife (like dolphins, wallabies, sharks, fish etc), going for walks and exploring areas of New Zealand that we probably wouldn't have seen if we didn't live on a boat. The weather has probably been one of the most challenging aspects of cruising. We seemed to have had more than our share of gale and near-gale force winds which makes for some nerve wracking and sleepless nights, as well as causing us to be stuck for days in places when we would rather have been out exploring and seeing new areas. I can't say that we've overcome this particular challenge. After all, Mother Nature is in charge out on the water! Someone once described their cruising lifestyle as "conscious poverty", i.e., learning to do with less and do so happily. (If you were the one who used that term, let me know so I can give you credit - love the phrase!) I think the phrase aptly describes what we're trying to do - whether it be living on a boat or not. We're trying to use our money to buy freedom to travel and enjoy life, rather than buy things we don't really need. Mike from This Rat Sails uses the term "freedom chips" to describe this approach. What are you earning money for - stuff you don't really want or need or freedom to enjoy life? This question should probably be rephrased to something along the lines of "narrow down the zillion big mistakes you've made to one that you aren't too embarrassed to share with others." Probably one of the big ones, that has already been confessed to, is the time that I almost killed Scott while docking the boat. It was an accident. He survived. All I can say is never, never, never pull the bow line while the skipper is jumping to the dock with the stern line. For some reason, this causes the stern to kick out and the skipper to fall in the water. I think this could safely be categorized as a big mistake. We're definitely not experienced enough to be offering any advice to anyone. Just do the opposite of what we've done and you'll be fine! What we can offer is our personal lessons learned from our period of time cruising in New Zealand. Buying a "for now" boat and spending time cruising together before investing in our "forever" boat was a really good tactic for us. It allowed us to get a better idea of what we're looking for in our next boat and what worked and what didn't in terms of the cruising lifestyle for us. We've got a series of posts on our "shakedown" cruise approach here. The primary reason we started out blogging was to create a record of our adventures - for our families and for ourselves. Now that we have been doing it for a while, we wish we had started something similar 20+ years ago when we first got married and started our travel adventures. The reason we still blog is because we absolutely love it. It is a great creative outlet, we enjoy talking about what we want to write about and it is fun to look back on our adventures. Plus I have a shocking memory which is just getting worse as I approach the big 50. 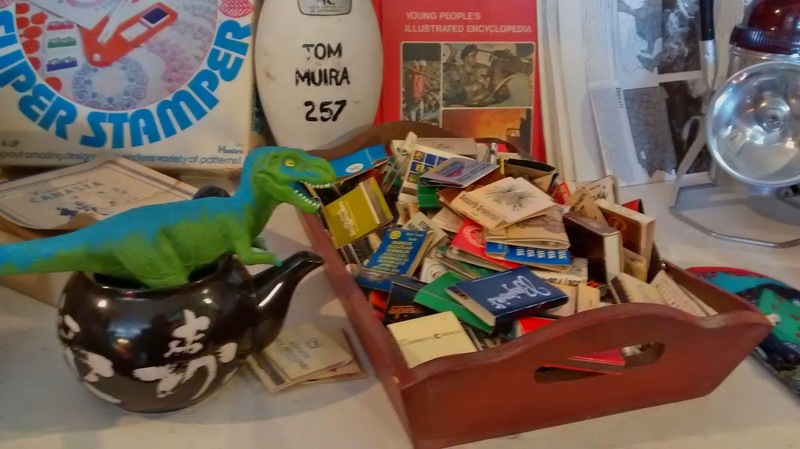 The blog is a great reminder of what we got up to, because I sure can't remember half of it. For our one year "blogiversary" (happy birthday Mr Blog! ), I did a post on some of the blogging tips/tricks that I had learned from other great bloggers out there and did a bit of a review of how our blog stacks up against what the pros say. You can read more detail about the blogging tips here, but I think it really boils down to two things: (1) only blog if you enjoy it (most sailing and travel blogs don't have a huge readership, so you have to be doing it because you personally find it fulfilling) and (2) write in your own voice, not how you think you should write or in the style of more "popular" blogs (don't forget, they're usually popular because they are writing in their own personal and authentic voice). I read a lot of sailing blogs, so it was hard to pick just four to nominate for this award! So I closed my eyes and picked four blogs at random. Here are my nominations - they're in different stages of the cruising journey, sail in different parts of the world and have great blogs. Can't wait to hear their answers to the same ten questions! Astrolabe Sailing - Viki lives and sails in New Zealand and her dream is to sail around the world. A very good dream to have! SV The Red Thread - Jessie and Neil are tossing off the dock lines on October 1st and have plans to cruise from Seattle to Australia. Exciting times ahead for them! SV Cambria - David and Stephanie are experienced cruisers who spent many years cruising in New Zealand and are now cruising in the Pacific Northwest. 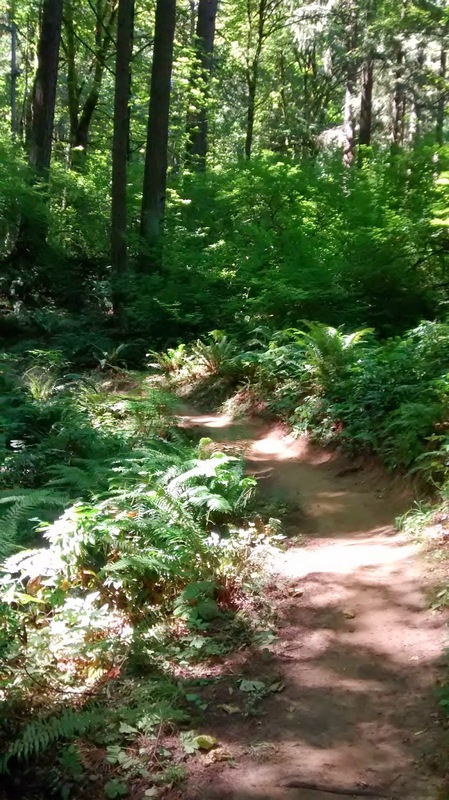 If you read their blog, you too will want to cruise in the Pacific Northwest! The Spray Logs - Maria and Patrick (who describe themselves as a hillbilly and a frog living in France) are cruising in Europe. They've had a few challenging moments recently, but always manage to keep their sense of humor! There are a lot of important skills that sailors need to learn - such as tying knots, reading navigation charts, trimming the sails and learning to speak like a pirate. I've been having a hard time finding a pirate language class in Portland so I was thrilled when my sister told me about the online Pirate course I can do for free through the library. 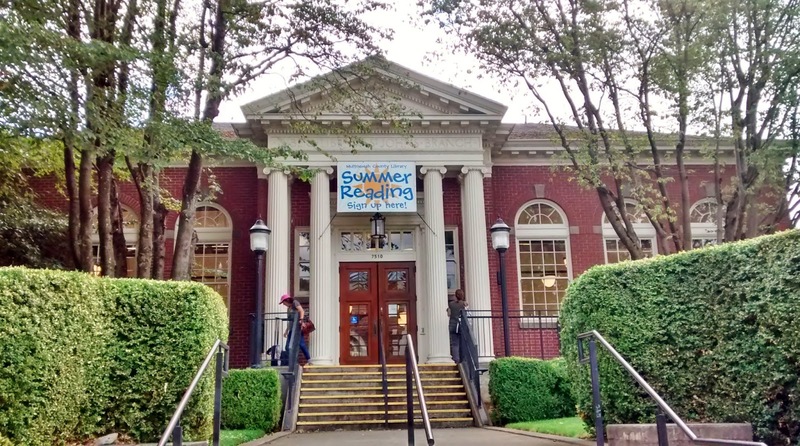 Aren't libraries wonderful? The focus of the course seems to be on the Captain's orders. Which is fine if you're the type of person who likes following orders. 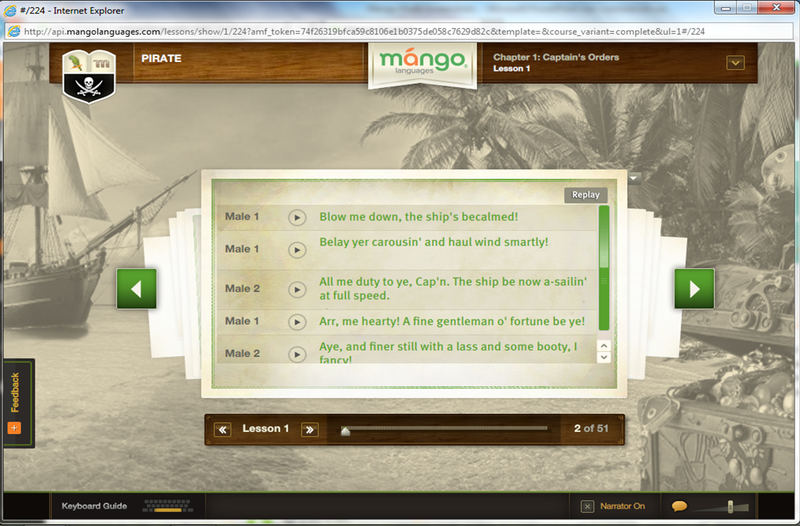 I was hoping for a module on how to mutiny when the Captain gives you one too many silly orders, but couldn't find one. I'm hoping it is in development and will be released soon. "Why does it take pirates so long to learn the alphabet?" "Because they can spend years at C!" "Haulin' wind involves finding the direction from which the wind is blowing and directing the ship so that the wind can catch the sails. Pirates are usually fleeing the law and have to be good sailors and utilize the wind!" Interested in learning Pirate? Check out your local library to see if they have Mango Languages. 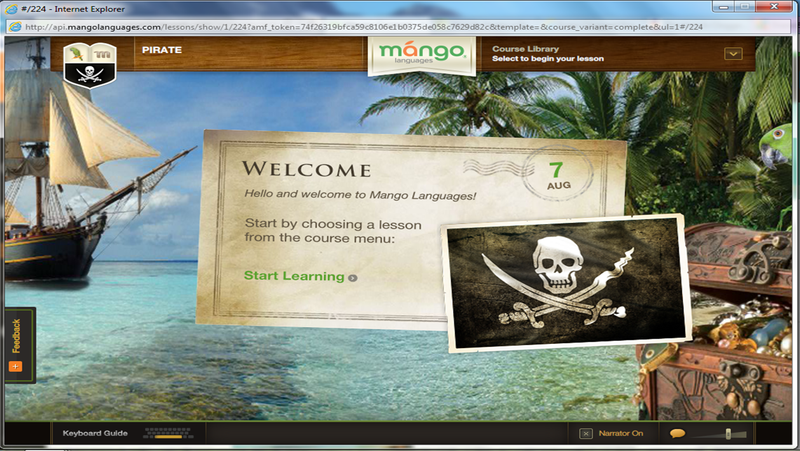 You can also use Mango to learn some boring languages as well, like Spanish, French and Mandarin. Pirate seems so much more useful though, doesn't it? "What do you call a pirate with two legs and two eyes?" "A rookie!" Scott and I have been expats since 2001 - first in Scotland and then in New Zealand. We recently did an interview on the Expats Blog about our experiences which you can find below. If you're an expat or want to find out more about being an expat in different countries, check out the Expats Blog site for more information. Ellen and Scott have lived overseas since 2001 in Scotland and New Zealand. They both have anthropology degrees and love to explore other cultures. When Ellen was transferred to Glasgow, it was an incredible opportunity to experience life in Scotland, as well as a great base from which to explore other countries. They couldn’t believe their luck when they had an opportunity to move to New Zealand in 2008. Who wouldn’t want to live in a country with stunning scenery, friendly people and a rich cultural heritage? 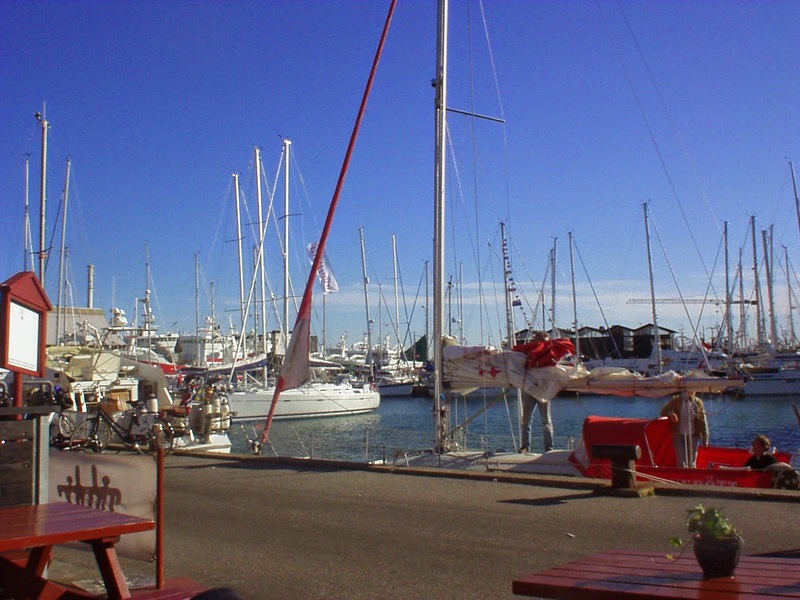 Scott was particularly excited to move to Auckland (aka the “City of Sails”) as he developed a passion for sailing in Scotland. They ended up buying a sailboat and moved onto it at the end of 2013. Exploring New Zealand by water was one of the most rewarding things they’ve had an opportunity to do as expats. We’re both originally from the States - Scott grew up in North Dakota and Ellen grew up in Ohio. Until recently, we were living in Auckland, New Zealand. Scott is now back in Scotland for work, while Ellen is visiting family back in the States for a few months. We’re planning on meeting up in the States to start looking for a new sailboat to travel around and live on while we explore other parts of the world. 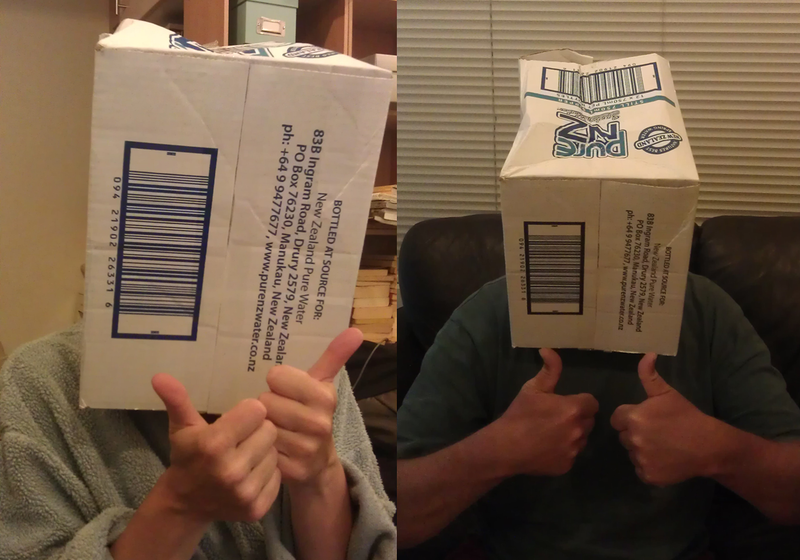 We moved to Auckland in September 2008. We obtained permanent residency prior to moving to New Zealand and consider this beautiful country to be our home base while we’re off exploring the world by sailboat. Why did you move here and what do you do? Ellen was offered a job in Auckland working in HR for a telecommunications company. Neither of us had ever been to New Zealand before, but after seven years in Scotland, we were ready to explore and live in a new country. So without ever having set foot in New Zealand, we decided to give it a go! Scott continued to go back and forth between New Zealand and Scotland for his work (he has a commercial archaeology business in Glasgow), while Ellen worked in New Zealand. No, it was just the two of us. We did want to bring our “family” of cats and dog with us when we originally moved to Scotland, but due to the quarantine requirements, we decided to leave them in the States. The transition was relatively easy for us, especially as both Scotland and New Zealand are English-speaking countries with many similarities to the States. We really admire people who move to countries where they have to learn a new language and adapt to a relatively different culture! Ellen’s company offered lots of expatriate support when we were transferred to Scotland which was helpful in terms of sorting out accommodation, transport, banking etc. so that we could hit the ground running. Moving to New Zealand was pretty straightforward as well. Probably the biggest thing we had to adapt to was the different varieties of English spoken in Scotland and in New Zealand. Whether you’re an expat or not, making new friends probably gets more challenging once you are out of university. We mostly made friends through work. When we moved to Scotland, we did socialize with some of the other American expats at Ellen’s work (which was a great way to get tips about Scotland from folks who had been there longer), but not exclusively. In New Zealand, we mostly socialized mostly with Kiwis. There are so many great things to do in New Zealand – it is hard to narrow it down! We’ve loved going on walks and exploring the outdoors – some of our favorites are the Tongariro Alpine Crossing and climbing up Mt Hobson on Great Barrier Island. Sailing in the Hauraki Gulf is an incredible experience. But even if you don’t have your own boat, you can get to some interesting islands by ferry like Rangitoto Island, Motutapu Island, Rotoroa Island and Waiheke Island. Doing conservation volunteering is a fabulous way to meet people, as well as help restore native flora and fauna. New Zealand is a great place to explore by car so go for a road trip and check out both islands. The people – Kiwis are laidback, down to earth and have a great sense of humor (think Flight of the Conchords). The outdoors – New Zealand really is as beautiful as all of those pictures you see and you get such different types of scenery as you travel throughout the country. And of course the sailing – New Zealand is known to have some of the best cruising grounds in the world. It is a great country to explore by water. How does the cost of living here compare to home? We were surprised by the cost of living in New Zealand. For some reason, we had expected it to be much cheaper than living in Scotland, but that wasn’t the case. Groceries seem to be quite expensive – the cost of meat and dairy products always surprises us. The cost of housing in Auckland also seems to be quite high – home buying isn’t on our agenda anytime soon! The only negative is how far New Zealand is from everywhere else in the world. When we lived in Scotland, we could get cheap airline tickets and go to Paris or Rome for a weekend. If you want to travel from New Zealand to anywhere else in the world, it is pretty expensive and the flights are long. Embrace the laidback lifestyle and try not to be a “tall poppy”. It is important to be humble here - don’t boast about yourself and your accomplishments. Like many expats would say, the hardest aspect of being an expat is the distance you are from family, especially when you have older parents. What are your top 5 expat tips for anyone in your footsteps? Learn about the Maori culture and take a Te Reo language class. Learning a little bit about the Maori language provides a great insight into the traditions which infuse New Zealand culture. It’s also helpful to learn commonly used phrases (like Kia Ora or hello) and be able to pronounce many of the place names (like the city of Whakatane). Get a migrant banking account set up before you move to New Zealand. It is easy to do with most of the major banks and will make things much simpler when you get over here. If you’re moving to another country for work, take advantage of any expat programs that your company offers and make connections with other expats that work for your company. It is really helpful to get their tips and tricks before you move over, especially when it comes to deciding where you are first going to live. The last thing you want is to find yourself living in an area you don’t like with a 9 month lease. If you don’t know anything about rugby, try to learn a little bit about the game. Or at least know who the All Blacks are. They take their rugby pretty seriously in New Zealand. Have fun! Not many people get to experience life living in another country. Even after those frustrating days when things don’t go the way you planned or you can’t find your favorite peanut butter at the store, it is important to take a mental step back and try to find some humor in the situation. Tell us a bit about your own blog. We blog about our sailing and travel adventures at The Cynical Sailor. 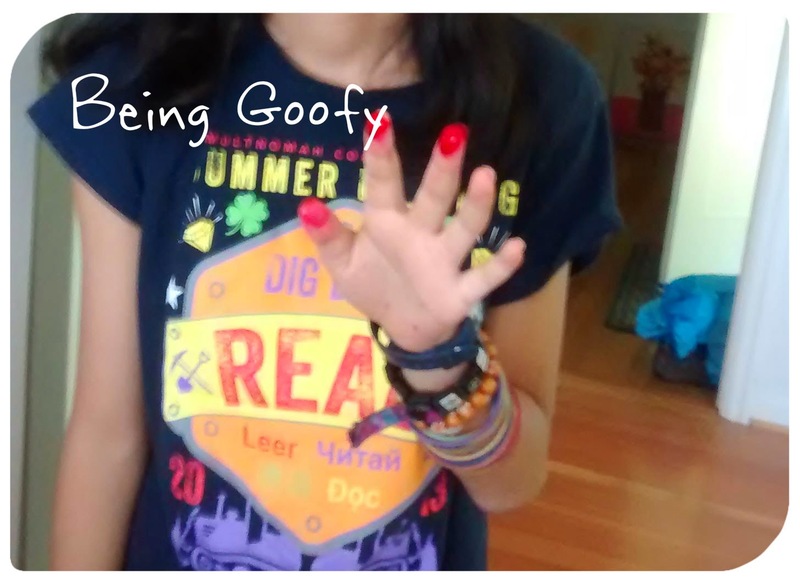 We try to inject a bit of eccentric humor in our blog. We’ve found that if you’re going to be an expat and/or travel to other countries, it’s important to be able to laugh at yourself and have a bit of fun. If you’re interested in finding out more about New Zealand, we have a New Zealand page on our blog which has links to posts about our time living here. You can contact us via our blog (either using the contact form on the sidebar or via email on our “Contact Us” page), through Facebook or leave a comment on our blog. We would love to hear from you! Have you heard the expression, "Keep Portland weird"? Portlanders take pride in how weird their city is and want to keep it that way. There has been a real cultural vacuum when it comes to weird in Portland since the Velveteria Museum of Black Velvet Paintings moved to LA and the 24 Hour Church of Elvis Museum shut down. Fortunately, Portland now has the Peculiarium to fill the void. It epitomizes weirdness. As one of my nieces said, "It's like what would happen if you scrunched all of Portland up into one shop." 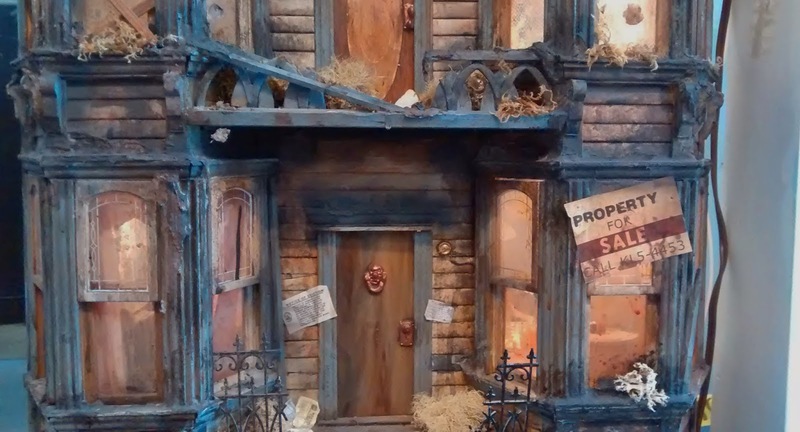 The Peculiarium is a store and a gallery of the strange and is chock full of interesting oddities. Do you like weird stuff? If so, check out these photos from our visit. 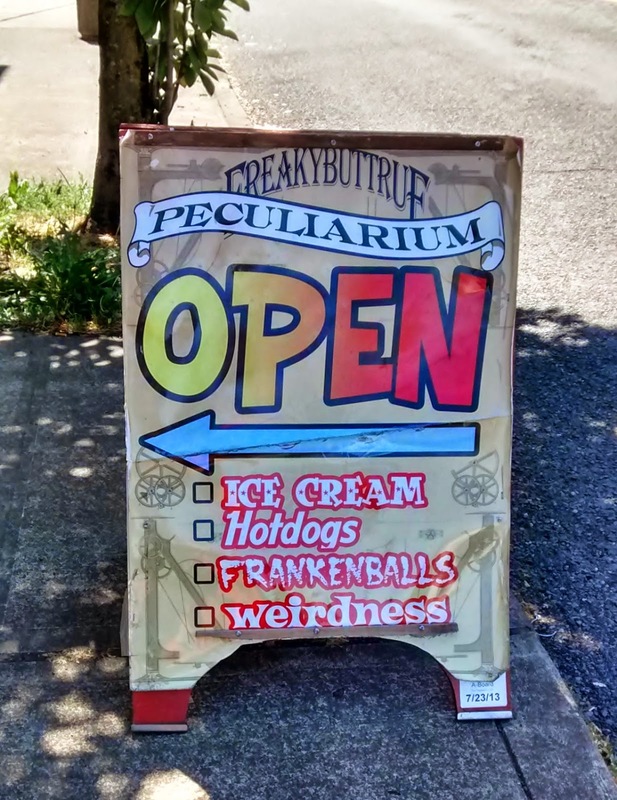 As you walk down NW 23rd, you'll see this sign promising you hotdogs, ice cream, frankenballs and weirdness at the Peculiarium. You're on the right track. Turn down Thurman and look out for the zombie in a wheelchair outside. 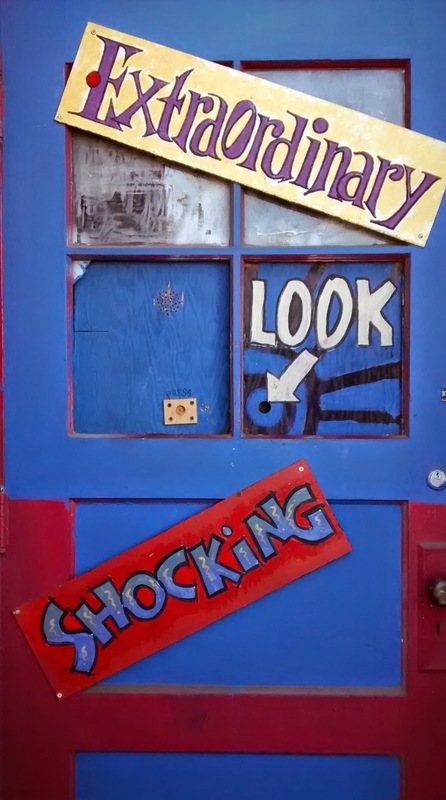 You've arrived at the Peculiarium! 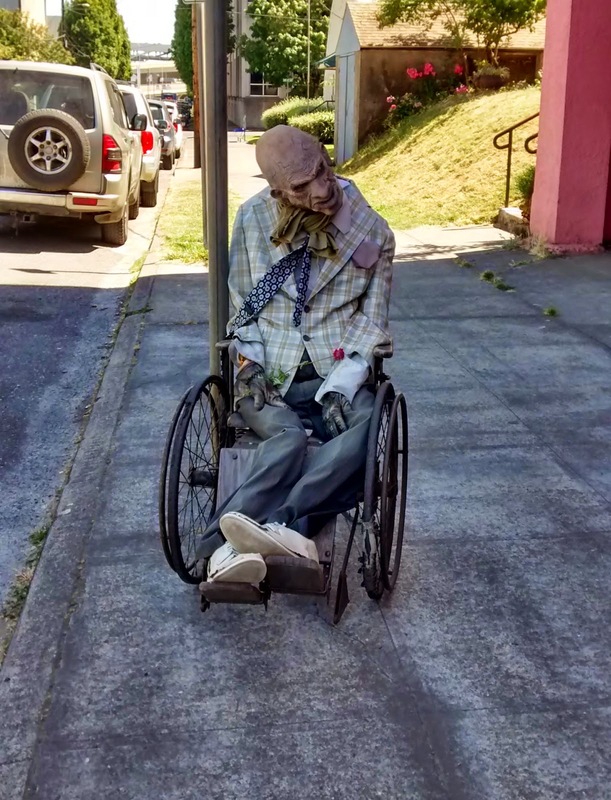 As you may know, zombies are a real problem in Portland. Fortunately, they have a handy zombie threat level sign on the outside of the Peculiarium so that you know whether to panic and head to the hills. 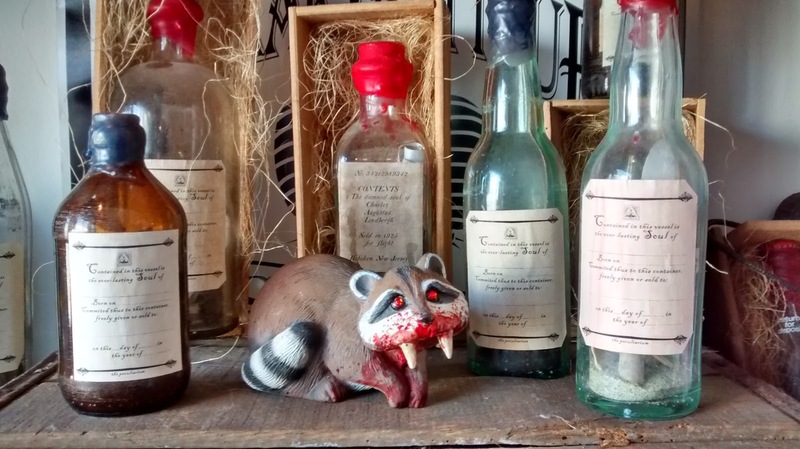 Did you know that raccoons can turn into vampires? Fortunately, they caught this one and turned him into a display to warn folks of the dangers of these little critters. See those bottles he is sitting next to? Each one has a human soul inside - prices start at $9. Vampires have a hard time finding suitable toys for their little ones. 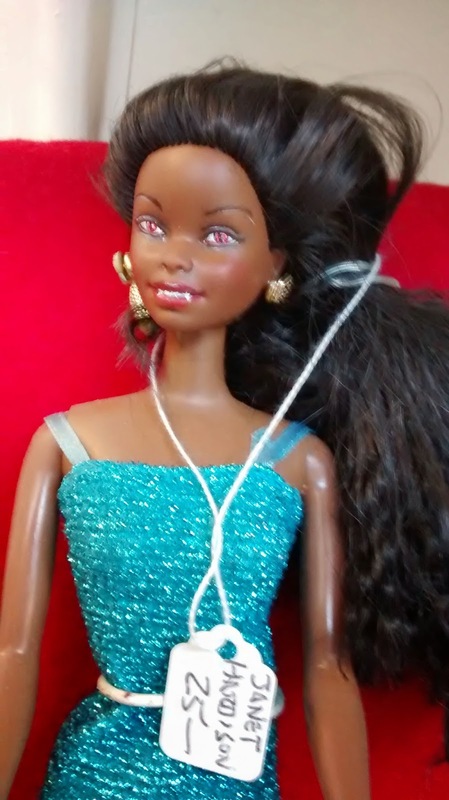 The Peculiarium is there to help - like this vampire Barbie doll. You can't see the fangs too well in this photo, but trust me, they're there. She is both glamorous and deadly. I had a dollhouse when I was little. It was nothing like this one. If you don't like gory scenes, you may want to skip over the next few photos. Aliens attacking people in the bathroom. 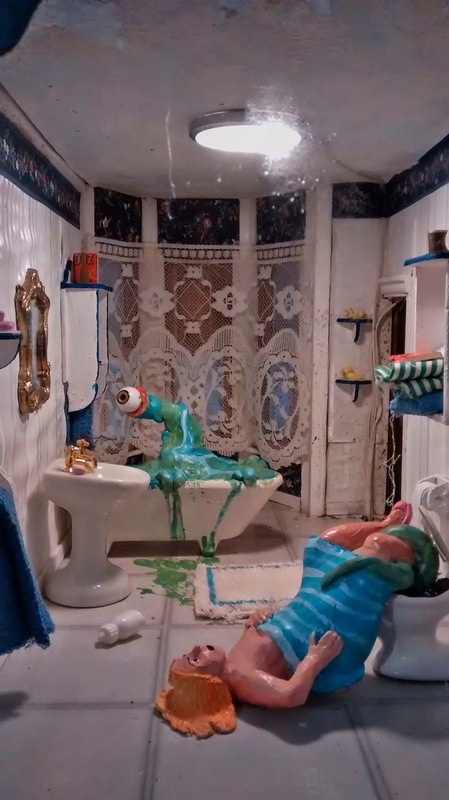 Always, always, always check the toilet and bathtub before you use them. You never know what can pop out from there. 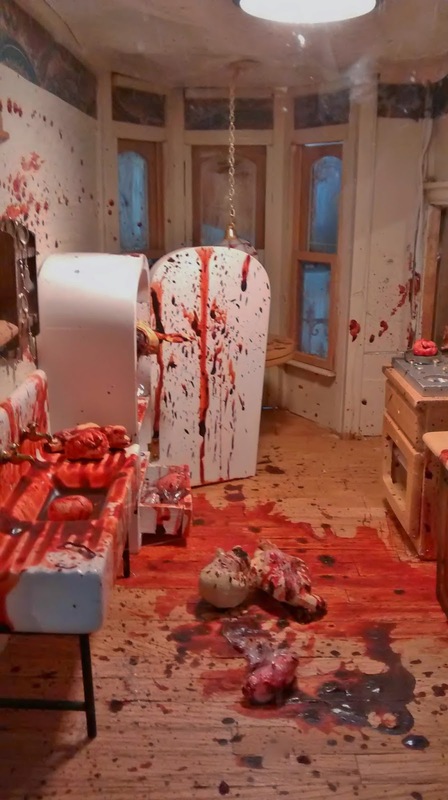 I'm not sure if it was vampires or zombies that caused this chaos in the kitchen. Okay, that has probably been too disturbing for you to look at. Let's move onto something more cheerful, like this alien squirrel. The Peculiairum is very educational as well. 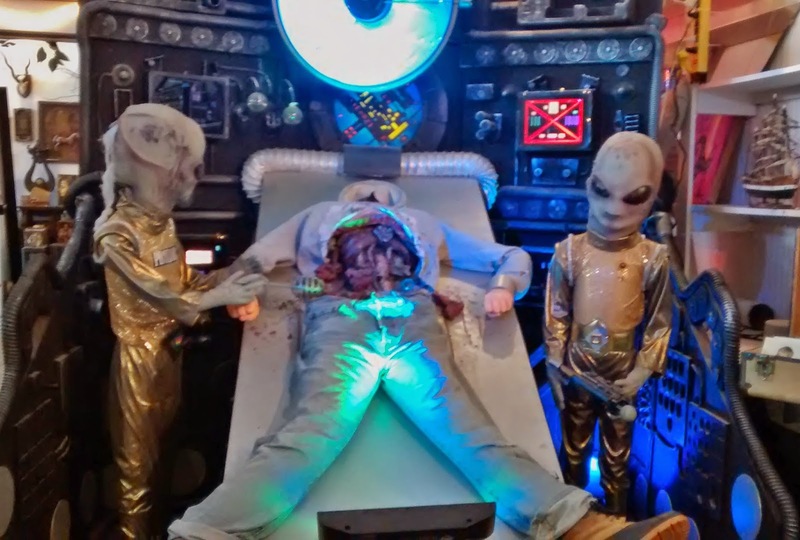 You can learn about how alien autopsies are conducted. In this case, the aliens are in charge. Poor human. 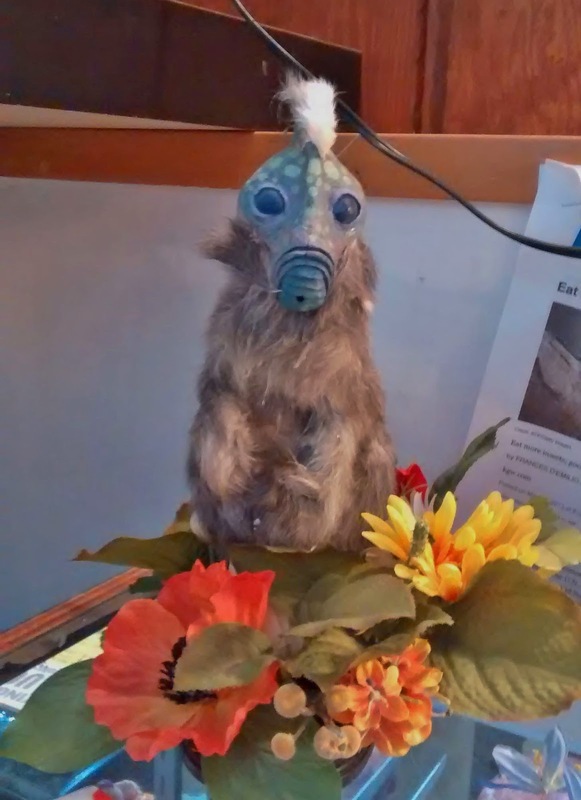 Of course, all this weird goodness needs to be funded somehow, so there are lots of strange and random stuff for sale in the shop. I bought a tiny alien baby for only 50 cents. I think he'll look great on our next boat. And if you're in the mood for an ice cream sundae with insects sprinkled on top, then this is the place for you. If you manage to eat one of these tasty treats, then you can join the elite Insectatarian Club. I passed. And on your way out, don't forget to press the button on this door and look through the tiny hole. Totally worth it. Linked up with Bonnie for Travel Tuesday. My sister and I have realized that you can only eat so many cookies before they show up on your hips and tummy. So we decided to get our act together and do some walking in Portland to burn those calories and fight the signs of middle age. 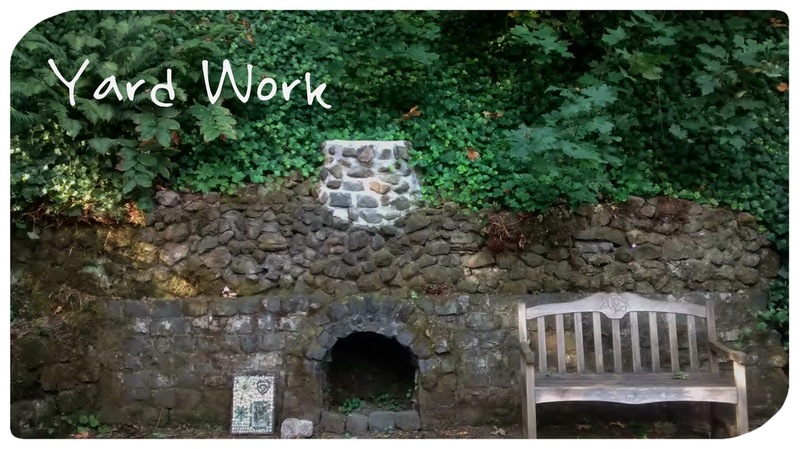 Our first challenge was a 5 mile walk from St John's in North Portland, across the Willamette River, through Forest Park down to Linnton and then back to St John's. We started off our walk at the St John's library which was built in 1913, thanks to Andrew Carnegie, the patron saint of libraries everywhere. Okay, maybe he isn't a saint, but when you're the richest man in the world and you give away all of your money to establish 1,698 public libraries, you become pretty popular with library people and book lovers everywhere. Next, we meandered through the St John's neighborhood. It is a cute little place which almost feels like a separate town and not part of Portland proper. There are a lot of interesting little places like Pattie's Home Plate Cafe (a combination old fashioned diner, costume shop and toy store), the Man's Shop (which has been in business for 73 years) and the Salle Trois Armes fencing center. 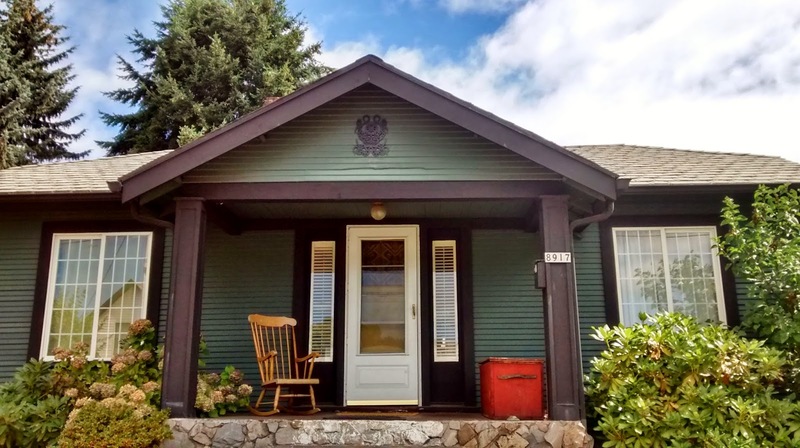 It is also chock full of those classic bungalows you see all over Portland, like this one. And because this is Portland, you'll also find the unusual. 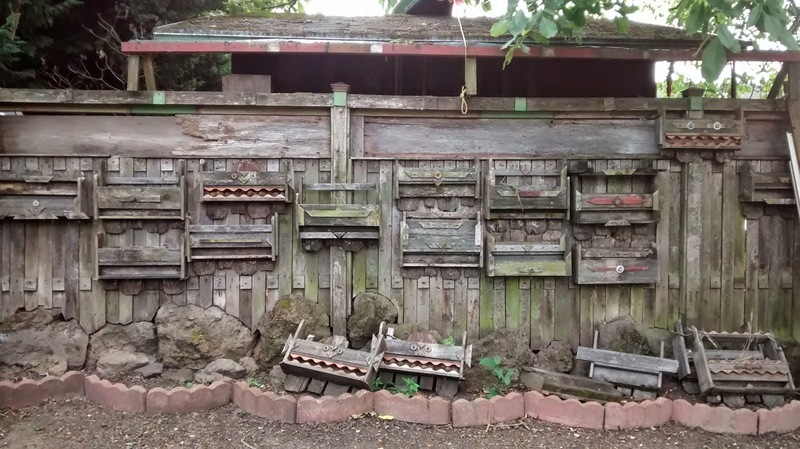 Like this fence. We have no idea what these things are that are attached to the fence, but we could swear they look like faces and the eyes kept following us as we walked down the street. Portland is quirky. 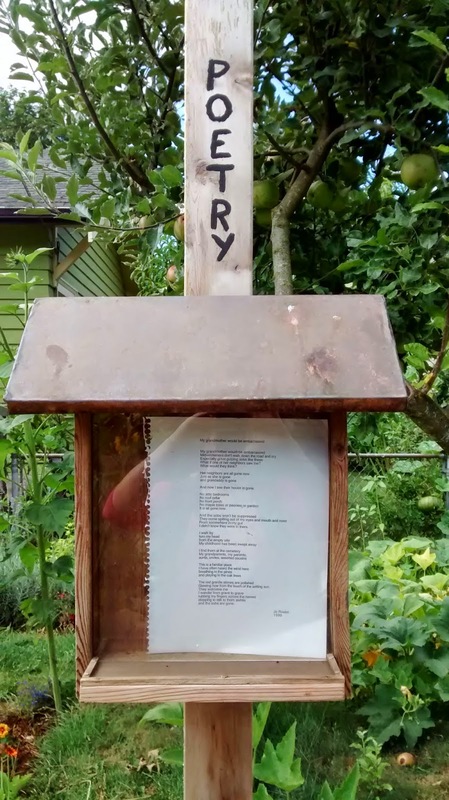 How many people do you know who have a poetry box outside of their home where you can go up and read a poem. 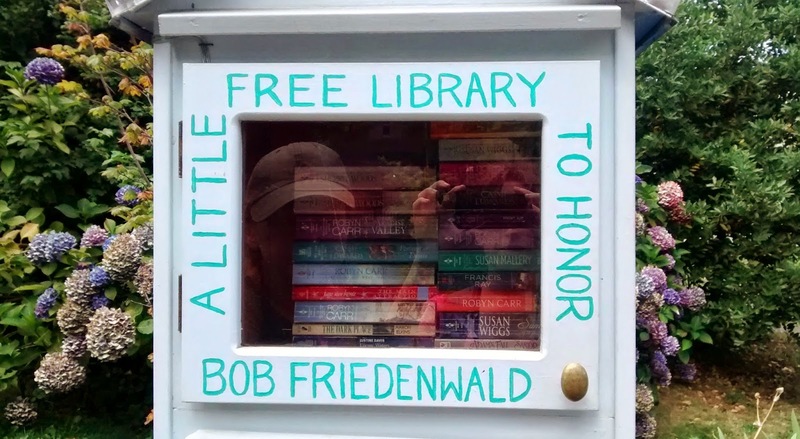 Or have a free library dedicated to a friend who has passed away. Bob was a voracious reader. 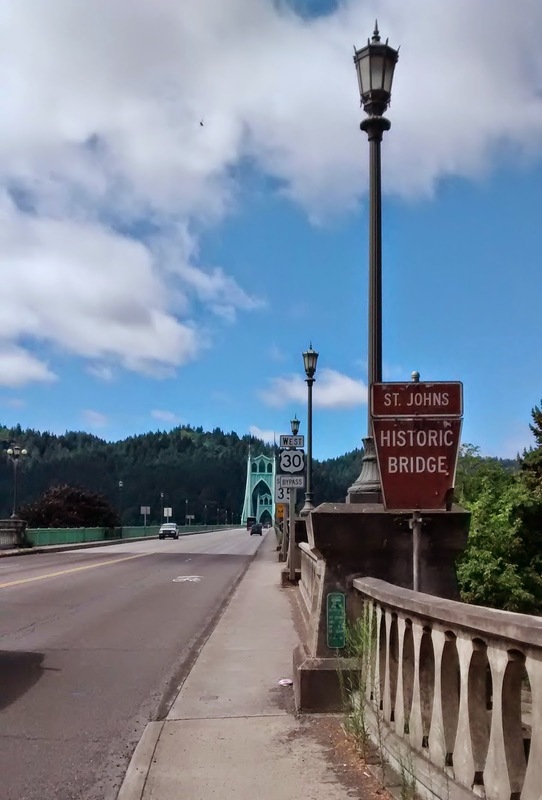 Eventually we got to the St John's Bridge. I'm not what you would call a bridge person, but this is a pretty cool bridge. It's arched concrete supports make you feel like you're walking through a cathedral. 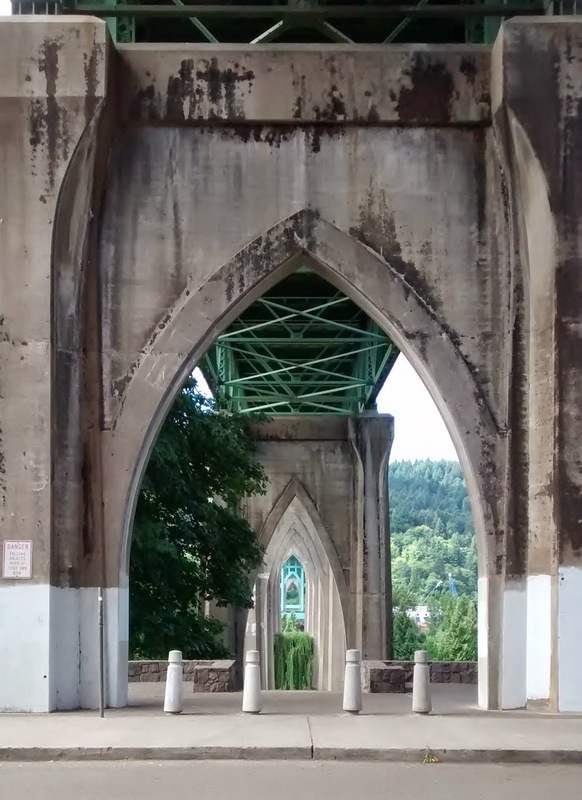 Which is handy, as the park underneath the bridge is called Cathedral Park. But we didn't have time to dawdle in the park, so we headed up to the bridge to cross over the Willamette. 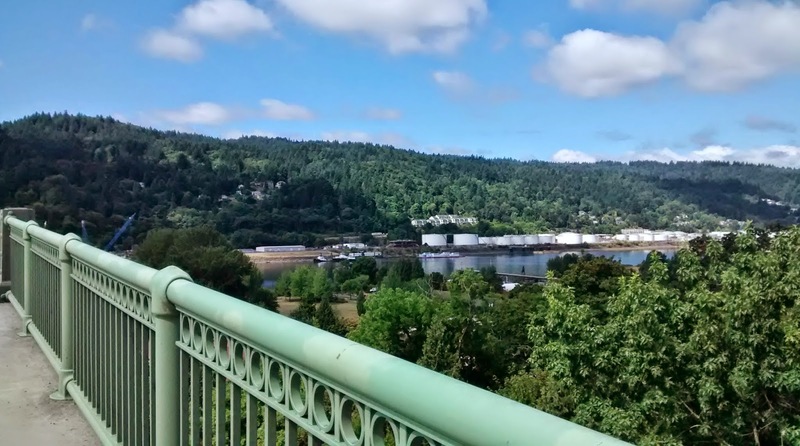 It is super noisy on the bridge from all of the traffic, but you get some amazing views like this one of the Linnton neighborhood in the hills and of the white tank farm down on the river. The tanks are full of gasoline, oil, jet fuel, biodiesel etc. It's probably wise not to light a match down there. There are a lot of barges, boats and shipping that make their way down the river. The usual types of things you expect to see in a harbor. And then there was this. 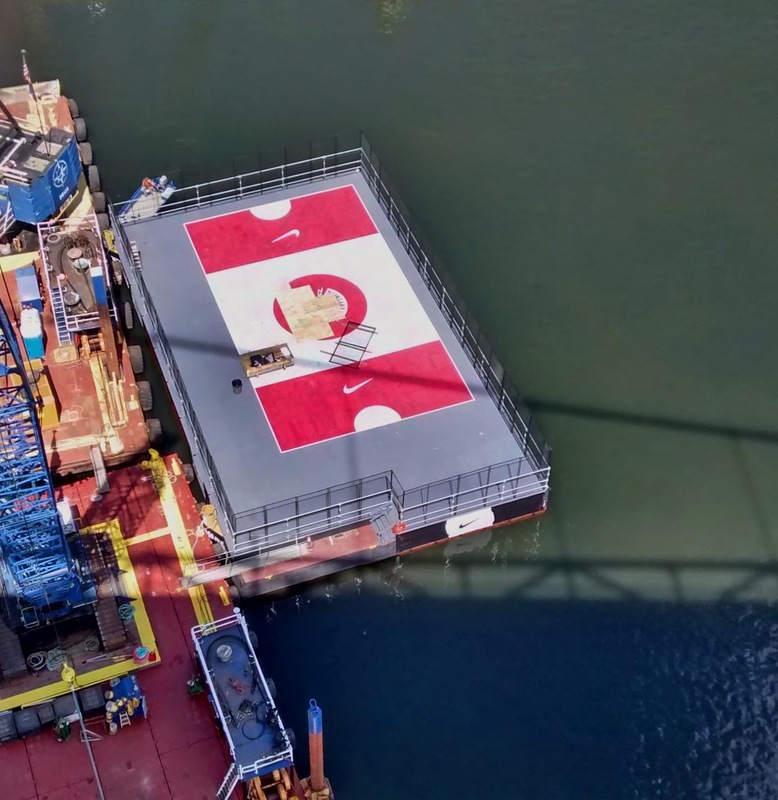 It looks like some sort of basketball court on a barge. Sponsored by Nike of course (they're headquartered in Beaverton, outside of Portland). 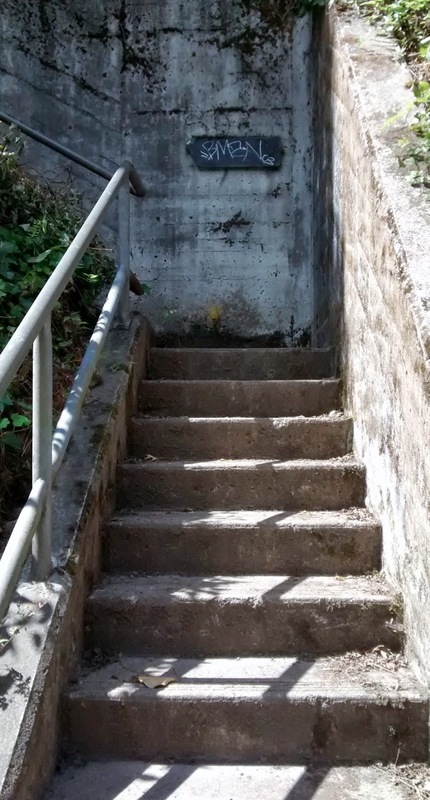 Once we crossed the bridge we headed up these stairs to Forest Park in the Tualatin Mountains. 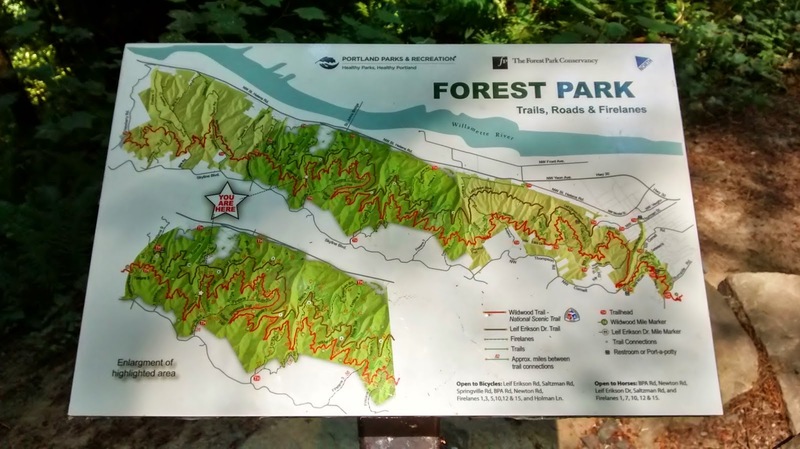 Forest Park is the largest urban forest in the States - it is over 5,000 acres and has more than 80 miles of trails, roads and fire lanes to explore. Did I mention it is in the mountains? We started our walk at 150 feet and climbed up to 1,110 feet. This picture is deceptive. The trail seems flat, doesn't it? It wasn't always. I love walking with my sister. She stops to catch her breath almost as much as I do going uphill. You can see all of the trails, roads and fire lanes on this map. The mention of fire lanes is a good reminder about the danger of forest fires. Forest Park burns in cycles ranging from 75 to 400 years. And because most of Forest Park's hills are steeper than 40 degrees, fire spreads more easily. And don't forget all those containers of gas, oils, jet fuel and biodiesel sitting at the bottom of the hills. I don't even want to imagine what would happen if fire spread down to there. 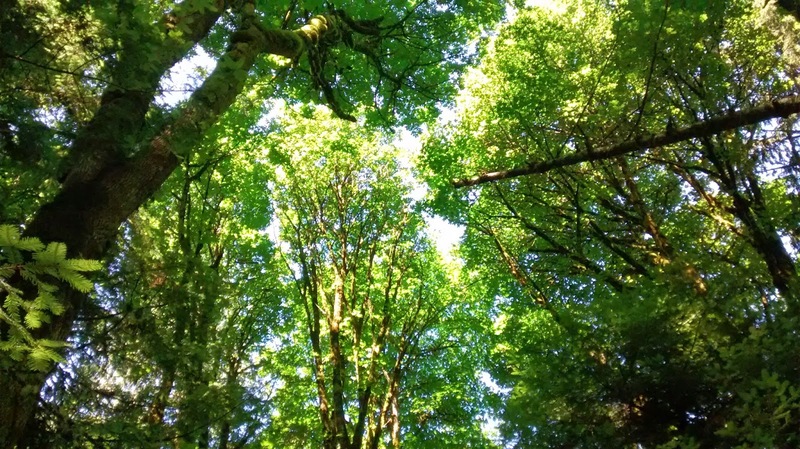 When you're walking through a forest, don't forget to look up from time to time. It's pretty up there. 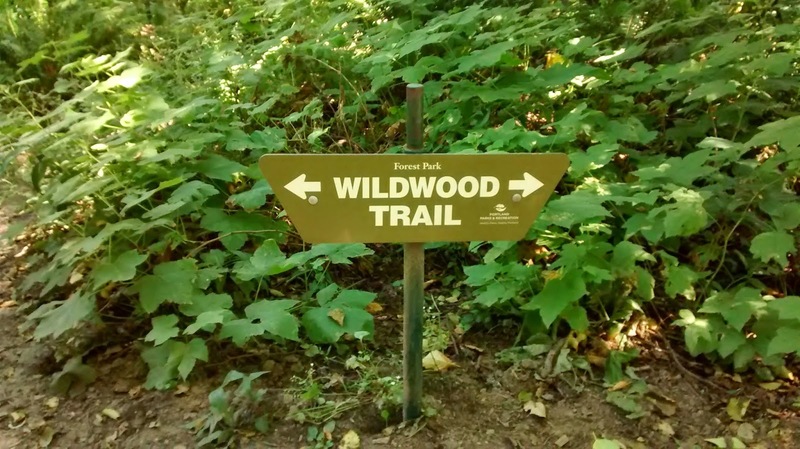 We loved the section of our walk that was on the Wildwood Trail. You know why? It was relatively flat! Then we got to the turn-off for the Hardesty Trail and climbed up to the highest point. We don't like Mr. Hardesty. We've never met him, we're not even sure he is a he, but his trail was a hard slog at times. It could benefit from an escalator. We finally made it to the Springville Road parking lot and made our way down to Linnton. Springville Road is an old footpath that became a market road at one point. Nowadays, it is used by people and horses. 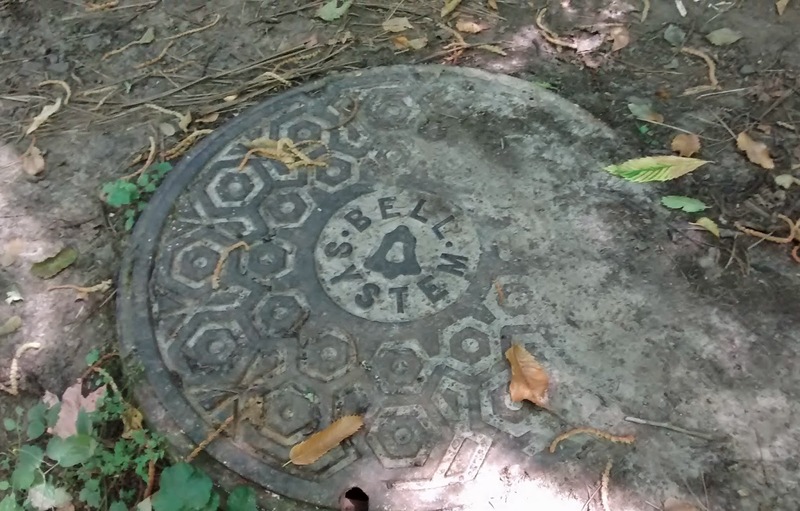 Along the way, there are a number of Bell manhole covers. If you are an American of a certain age, you'll remember when Ma Bell broke up. The manhole covers are a little reminder of the old days. Eventually you get to the Linnton neighborhood which has some nice houses with amazing views. 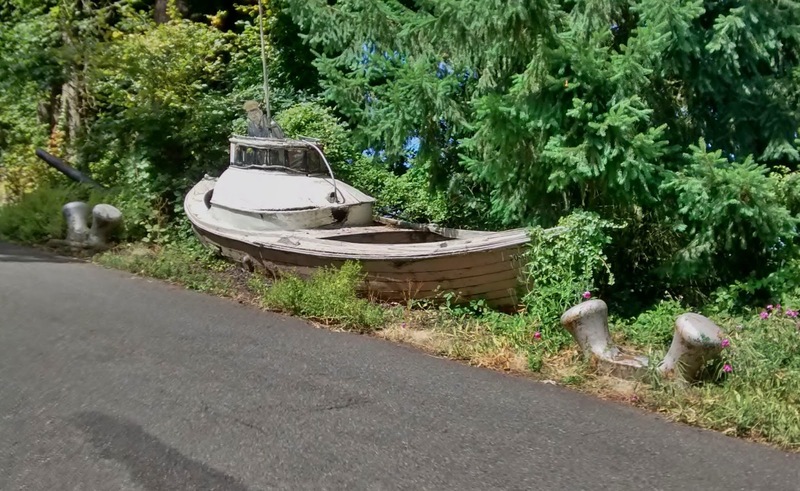 And because it is Portland, you also get the quirky, like this boat on the side of the road. And that was it, pretty views on our way back down to the main road, then back across the bridge and over to the library. I think we deserve a few cookies after all that effort. 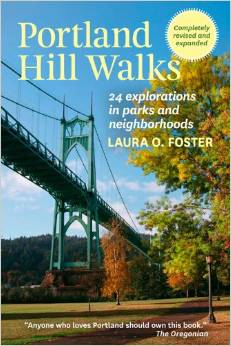 If you're interested in going on this walk or other walks through the hills of Portland, check out Laura Foster's book - Portland Hill Walks. It is a great book, chock full of interesting facts. (You don't really think I knew all of the stuff in this blog post myself, did you?) According to The Oregonian, "Anyone who loves Portland should own this book." Or you could just check it out from the library like I did, thanks to Mr. Carnegie.